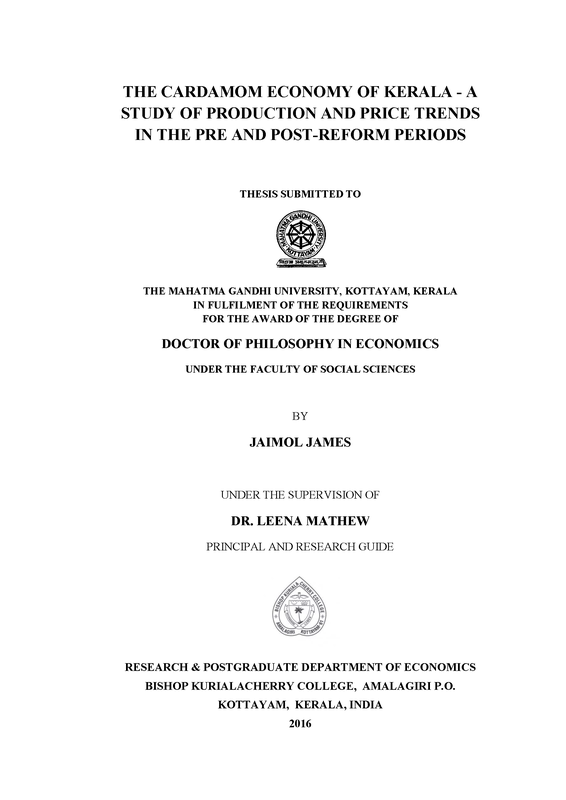 The cardamom economy of Kerala- a study of production and price trends in the pre and post-reform periods. Dr Leena Mathew, Principal, B.K. College for Women, Amalagiri P.O, Kottayam.